The third annual Eagle Riders 1161 DAV Poker Run was held on Saturday, June 2. 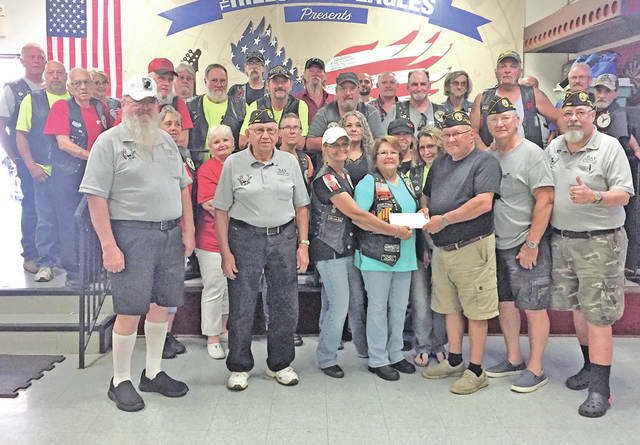 This year’s event raised $8,005 for the Lloyd C. Ludwick Disabled American Veterans Chapter 123.
https://www.timesgazette.com/wp-content/uploads/sites/33/2018/06/web1_DAV-pic.jpgThe third annual Eagle Riders 1161 DAV Poker Run was held on Saturday, June 2. This year’s event raised $8,005 for the Lloyd C. Ludwick Disabled American Veterans Chapter 123.